We all know the risks associated with getting content protection wrong. But what the OTT industry often forgets is how these risks escalate as the severity of content piracy increases. In the first instance, things start to go wrong when streaming services fail to prevent users from sharing login credentials or don’t act when legitimate user details have been stolen. Evidently, a lower total number of recurring subscribers has an immediate, tangible impact on the per-unit value of each piece of VOD content in the streaming library. The risks associated with content piracy heat up even more when a security hole in the platform itself goes unpatched or a bad actor is able to tamper with the OTT app on a jailbroken device. Revenue loss in this way can often be difficult to qualify depending on how the breach has taken place, but it certainly compounds the issue. Get OTT content security very wrong indeed and you’ll open up deeper, longer lasting revenue loss. If it reaches the stage where high-value rights aren’t being protected as they should, or content streams are being siphoned straight out of the CDN and re-routed to another server, this can pose all manner of issues. Content rights can be revoked altogether – particularly OTT sports where the investment stakes are much higher. The more high-profile the streaming platform, the more likely there are to be people looking to breach its outer security, which has changed the game. A secure service in 2018 doesn’t necessarily mean one that’s impenetrable. Instead, it’s about monitoring and identifying threats in real-time, discovering when and where the breach takes place, and acting on it the moment that issue presents itself. This is much more important today when consumer expectation of a multi-platform, multi-device service is at an all-time high, yet lower-tier devices often have unpatched security flaws. It’s not only direct platform breaches or shared login credentials that create headaches for service providers either. VPN usage is still a major thorn in their side. For tackling this method of skirting content restrictions, and also for those outlined above, the answer lies in data – specifically, better collection, management, and action based upon on the insights it offers. By detecting when login creations are being shared and by tracking where someone is tunneling their connection through a VPN, OTT TV providers can tap into a data stream that has huge value. The same can be said of being able to identify where stolen content is being routed to, and in knowing when and where content is being accessed on the service overall. This can be made possible by implementing a unicast approach to content streaming, which means OTT providers can ensure end-to-end content delivery. The benefit is that this gives them full visibility and control over how an individual user is able to access the service, made possible by placing a token on their device. This allows content providers to track and identify who’s watching – even if they’re running a VPN or are accessing the service from outside the network – then open up a tailor-made pinhole in the network firewall to let their specific device access the content in question. And this is where content protection becomes a monetisation opportunity too. The end-to-end content delivery benefit of this technology has its roots firmly set in data. As a result, it opens up a raft of opportunities for more targeted content recommendations and personalisation. 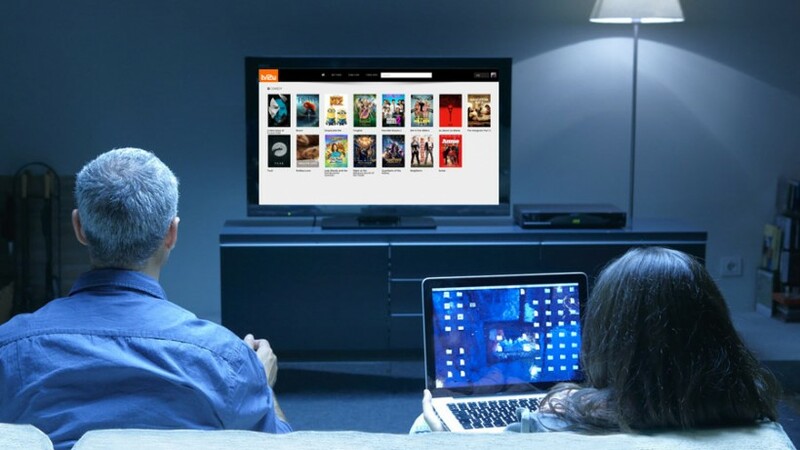 By gathering both historic and real-time user data in this way, OTT TV providers can get deeper insights into the individual habits of consumers while more effectively protecting the interests of the rights holders they’re streaming content from. Crucially, since each connection is individually controlled, an approach such as this also allows them to inject tailored ads into the stream for targeted advertising. Knowing where users are likely to pirate content from, and what their motivations behind that may be, makes it possible to offer promotional offers to these types of users. It’s an avenue for encouraging them to pay for the service, rather than losing all access as a result of the breach being detected through data and subsequently blocked. Ultimately, maximising content revenue, whether it’s with legitimate users or tackling unauthorised access, depends on knowing the customer on a deeper level. And the beating heart of this is advanced data analytics. I’ve written about this previously in several broadcast publications, and most recently in IT Pro Portal – read more about it here.